For a generation of movie goers, Nick Fury is and always has been black. This is a good thing. There should be more heroes that break from the traditional white Anglo-Saxon mold. The problem though, is that by definition, Nick Fury cannot be the same person as a black soldier that he was as a white soldier – because it whitewashes an entire generation of soldiers. Racebending has been an issue for superhero movies for quite a while now. Some complained that Heimdall, a Norse god and brother of Sif, should not be black -but really, why not? He is part of an extradimensional godlike race of immortals, why not let him look like whatever he wants to look like? Hell, if you want to be technical, Thor should be a redhead. That’s how he first appeared in Marvel’s Venus #11and how he was described in antiquity. More recently, it was suggested that Chiwetel Ejiofor could be Doctor Strange – and he certainly could be. There is nothing in Stephen Strange’s origin that says “this has to have happened to a white guy.” He was a fairly rich jerk of a doctor who broke his hands and traveled to the Far East to learn mysticism. That could’ve happened to anybody, and frankly, Ejiofor is an actor with the chops to make the goofy things Strange encounters seem serious. It was suggested by others that Ejiofor could play Brother Voodoo instead, but Brother Voodoo was a character of another time. Fictional characters like Brother Voodoo, the Mandarin, the Yellow Claw, Arabian Knight and others were very much products of their eras, and they continue to exist in comics in one form or another only because creators are cognizant of that history and adapt the characters to fit modern mores. Those same histories make these characters less apt for the movies, as they just would not translate well on screen without major changes (see the Mandarin in Iron Man 3 – a successful transition, depending on who you ask). The problem in comic books – and a lot of pre-21st century Western speculative fiction for that matter – is that for the most part, the major iconic heroes have been white, and predominantly male. As a kid, I loved reading about both Hal Jordan and John Stewart (sorry, I was never a Guy Gardener fan), and when the Green Lantern Corps was killed off and replaced by a single GL, I was disheartened to find they had chosen another bland white dude (who, long after I dropped the book, was revealed as Hispanic). Nothing is wrong with being a white male, but why not add a little variety? Why not an elderly Indian woman or a preteen Tibetan boy? Why even have a human? The same goes for the Flash. 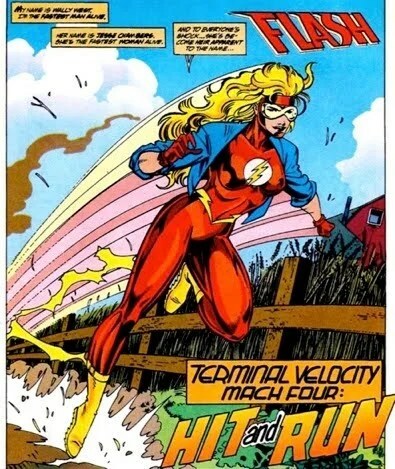 They replaced Barry Allen with Wally West, and that was fine because it’s always neat to see younger heroes grow up to take their mentor’s place, but when I found out there was going to be a female Flash I thought it was amazing. Sure, DC already had Wonder Woman, but why not have another of their biggest icons be a woman? Then I found out it was only for a handful of issues. The same goes for the (now apocryphal) female Robin. However, there are some heroes who should be of a particular race or gender. Wonder Woman should be a woman. Shang-Chi should be Chinese. And so on. Their personal background is part of who they are and how others treat them. A lot has been said of Captain America being a blond, blue-eyed white guy – essentially the Nazi ideal – fighting Nazis. In this situation, Steve Rogers is intended to be the stereotypical idealized image of an American hero, as represented in World War II-era fiction. Others to take up the mantle of Captain America have had different backgrounds, but having Steve Rogers seemingly epitomize Hitler’s fantasized version of humanity while simultaneously being opposed to it was part of Captain America’s original deal. He is a character of his era, and unfortunately, that was an era in which segregation dominated American culture. And that brings us back to Nick Fury. 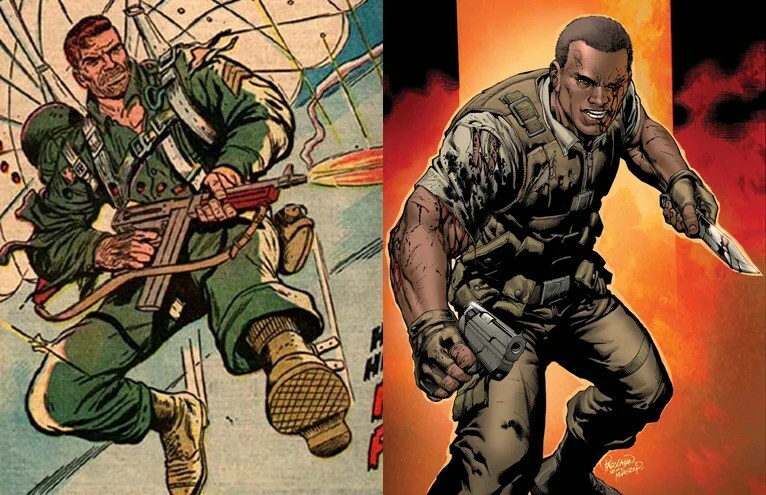 The original Nick Fury – introduced by Stan Lee and Jack Kirby in 1963 – was a soldier in World War II. He had a platoon of handpicked GIs that fought with him in unique and often off-the-books missions. Eventually, it was revealed that Nick Fury continued to work with the government after the war, becoming the nation’s premiere spy as the most well-known Agent of SHIELD. As the publishing years went by, an explanation was made for how a WWII veteran could still be active in the modern day (he was receiving injections of the Infinity Formula, extending his lifespan), and a new wrinkle was added to his legacy: he was an immortal soldier. He was now a man with no life except for the mission. He lived to fight evil and protect freedom – and nothing else. 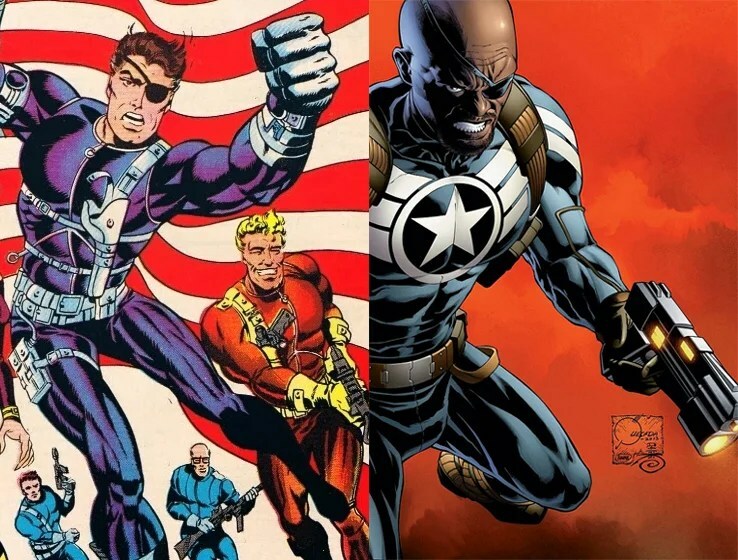 In 2001 a new Nick Fury was introduced as part of Marvel’s Ultimate line (also called Earth-1610), with heroic adventures set in an alternate reality. Although initially depicted as white, it was revealed that this Nick Fury (and Samuel L. Jackson look alike) was also a soldier in World War II, but that he was forcibly made a guinea pig for the Super-Soldier program, eventually granted longevity as well. This Fury was purposely designed as Jackson, and it was a smart move too, as it likely paved the way for casting the action movie stalwart in the Marvel Cinematic Universe, helping bring audiences in on the world of capes and spandex through Jackson’s more cynical eye. With the movie-version’s worldwide popularity, Marvel’s main universe (commonly known as Earth-616) introduced another Nick Fury in 2012’s Battle Scars #1. This version was the son of the original and an African American secret agent named Nia Jones. 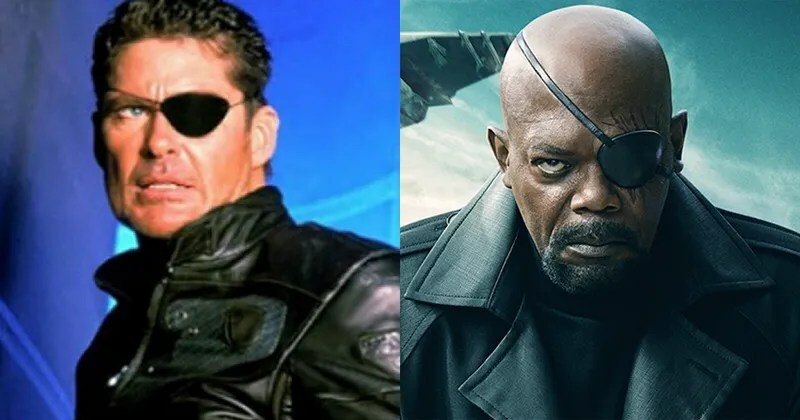 To protect the child from Fury’s enemies, Nick Fury Jr. was raised as Marcus Johnson; he became a respected US Army Ranger and served alongside Phil “Cheese” Coulson in Afghanistan. Now the original Nick Fury has gone underground to quietly deal with world threats off the grid while Marcus has accepted his birth name and operates as SHIELD Agent Nick Fury Jr. Nothing, so long as people recognize that these are two distinct characters. It’s unfortunate that Nick Fury Jr. has been saddled with his father’s name, because a modern, biracial war veteran who just learned he is heir to a veritable dynasty of superspies is a great original character. His very existence, however, seems to necessitate moving the elder Fury to the background, a shame as the idea of an old soldier who doesn’t die or fade away is a great one. Now, if there is no reason why Dr. Strange can’t be black, why can’t there be a Nick Fury with the same origin as the original and have him be African American? Because unlike many costumed heroes – who can have different people adopt the title, or could have alterations to the appearance of the character (as in the case of Heimdall) without altering the character – “Nick Fury” is the name of an individual with a past. 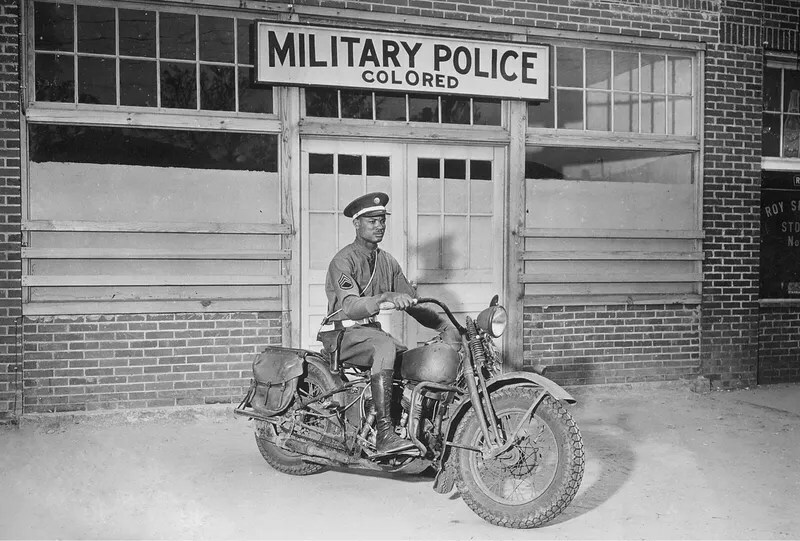 Assuming these two characters are the same person ignores the sad fact that during World War II, and for several years before and after, the US military was segregated. This was glossed over in Nick Fury’s original appearances, although Stan and Jack were sure to include an African American soldier in Nick Fury’s bunch of yahoos. Gabriel Jones, was chosen to join Nick’s platoon because Fury couldn’t give a rat’s patootie about racism, he just wanted the best men he could possibly have on his side. Interestingly, thanks to the Infinity Formula, Gabriel Jones has also become a century-old soldier who does not die or fade away (or was, until recently, when he died after having faded away somewhat). Keep in mind, Gabriel Jones appeared only ten years after EC Comics dared to publish comics about segregation (including in the military), even when censors actively tried to stop them. 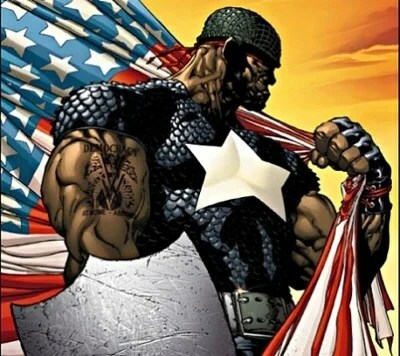 Marvel prominently addressed the subject of military segregation and racism head on in 2003 with Truth: Red, White & Black, in which a soldier from a colored regiment, Isaiah Bradley, became the first African American Super-Soldier, again though, as an unwitting guinea pig in a situation meant to echo the real-life Tuskegee experiment. Although Isaiah’s story is a sad one, his son and grandson have become important parts of the Marvel Universe. Nick Fury, the WWII soldier-turned-high tech spy, isn’t the same person as Isaiah Bradley, and he shouldn’t be. It does a disservice to soldiers in colored regiments to gloss over their dedication and sacrifice by tacking on another character’s fictional legacy. Similarly, modern Nick Fury Jr. should be recognized for what he is: the product of 21st century warfare. It does a disservice to modern soldiers to have a major Marvel character who is a veteran of Afghanistan and present him as if he was the same character as a WWII-era hero. First, I’ve talked to many younger fans who believe that John Stewart was the first Green Lantern because he is the one they grew up watching on TV, so I assume the same may happen with Nick Fury. Nick Fury Jr., or Marcus Johnson as he had known himself for the first several decades of his life, is a wholly distinct character from Nick Fury Sr.
Second, I see many clamoring for and against the changing of a character’s race for a new medium. Often race is inconsequential to the nature of the character (so feel free to change it), but sometimes, for very specific reasons, race is an important component. This story was originally published on the Kinja blog Observation Deck on Feb. 16th, 2014. Checking out the #bigfacebox from the #japan booth at the #sxsw #interactivetradeshow - good deal.